At Progress Heating and Air Conditioning we only use factory-trained, nationally certified technicians who are the best in the industry and have demonstrated their knowledge and professionalism time and again. We specialize in repairing all makes and models of residential and commercial heating and cooling systems in Raleigh-Durham and also offer HVAC maintenance contracts and the full design and installation of new systems. As a family-owned, local business, we strive to deliver the highest quality in heating and air conditioning at prices you can afford. We offer free estimates on new HVAC systems, free second opinions on repair work quoted from other contractors, and a free service call when you sign a maintenance agreement. 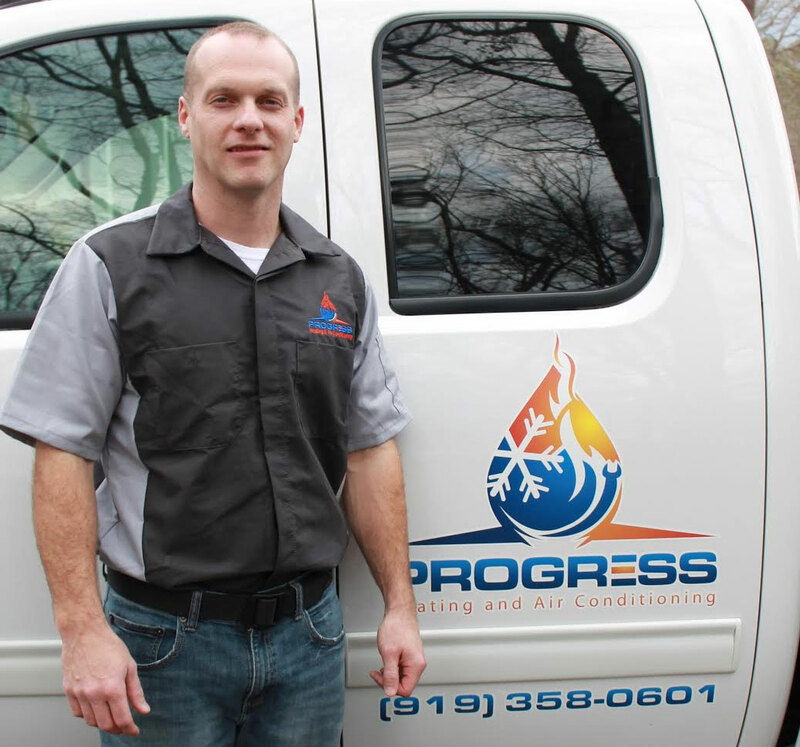 Progress Heating and Air Conditioning provides Raleigh-Durham-Chapel Hill heating and cooling services — repairs and maintenance — for residential and small business needs. Also servicing, Cary, Morrisville, Apex, Wake Forest, Creedmoor, Butner, Bahama, Rougemont, Timberlake, Roxboro, and Hillsborough.